Casino Euro – Daily Deal / Week 47! Enjoy daily deals for Free Spins, Reload Bonuses and more! Christmas is just five weeks away and we should see the annual festive promotions popping up any day now. Until then we get to enjoy other awesome rewards such as those at Casino Euro. Courtesy of their ongoing “Daily Deal” campaign players can claim an offer for bonuses, Free Spins, wager rewards or tournaments every day of the week. Kick start your gaming week on Monday afternoon with a random cash drop tournament on Trolls Bridge with cash prizes of up to €500. Monday, 20th November 2017: Trolls Cash Giveaway – Spin actively with cash bets on Trolls Bridge from 15:00 – 23:00 CET to trigger one of 81 random rewards between €10 – €500, instantly credited in cash. Tuesday, 21st November 2017: Goodie Bag – Deposit min. €30 in a single amount to instantly receive 20 | 20 Free Spins on Moon Princess | Starburst™. WR is 15x FS winnings within 5 days. Wednesday, 22nd November 2017: Jackpot 2x – Play the Red Tiger games in the Daily Jackpots Lobby and have any Quick Hit or Daily Jackpot win doubled. Anyone playing the games but not winning a jackpot will receive a 10% cashback on net losses, up to €100. Both to be credited by 17:00 CET on Thursday. WR on the doubled jackpot amount is 10x while the cashback is wager free. Thursday, 23rd November 2017: Free Spins Galore – Get instantly 40 Free Spins on Book of Dead | 10 Super Spins on Gonzo’s Quest for two consecutive deposits of €20 | €50. Wagering requirement is 15x FS winnings within five days. 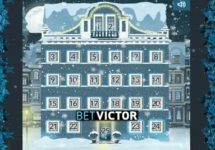 Friday, 24th November 2017: Mega Free Spins – Deposit min. €20 in a single amount to instantly receive 50 Free Spins on Mega Fortune™. WR is 15x FS winnings within 5 days. Saturday, 25th November 2017: Goodie Bag – Deposit min. €30 in a single amount to instantly receive 30 | 30 Free Spins on Reactoonz | Viking Runecraft. WR is 15x FS winnings within 5 days. Sunday, 26th November 2017: Mission – Get 20 | 60 Free Spins on Ho Ho Tower when you hit the in-game bonus wheel 1x | 4x, credited by 17:00 CET on Monday.WR is 15x FS winnings within 5 days.